SpotON3D attempted to address the controversy over its plans to patent technology for putting an OpenSim viewer on a webpage in an outreach event this morning, but some of the company’s toughest critics failed to show up, the company failed to answer key questions about its technology, and the meeting eventually ended in tears. 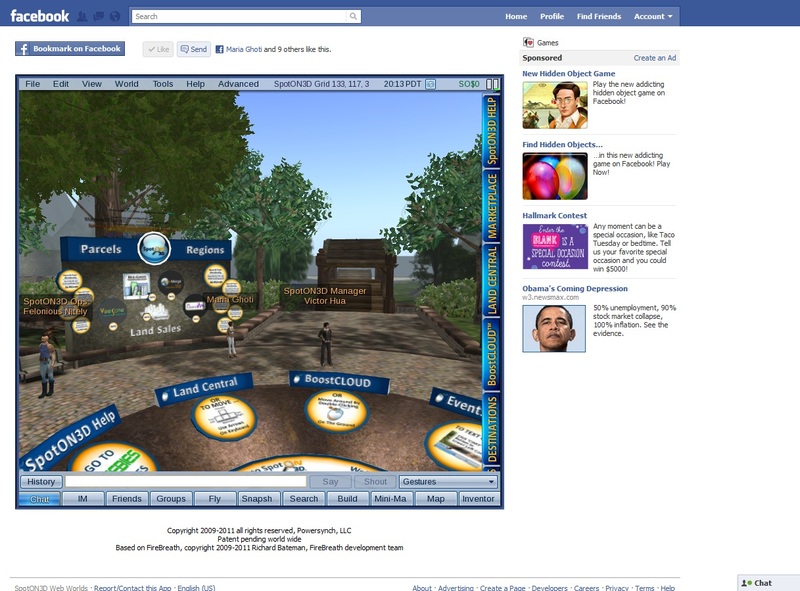 The new plugin – which allows SpotON3D to embed a fully-functional viewer inside Facebook or on any other webpage — could potentially attract a mass of brand new users to OpenSim. However, the company did promise to donate some code to the OpenSim community next year. The event was attended by a couple dozen people, but almost all were local SpotON3D residents, company employees, or friends of the founders. The outreach event was run by SpotON3D CEO Stevan Lieberman, an intellectual property attorney with Greenberg & Lieberman, and by grid cofounder and COO Tessa Kinney-Johnson and both answered questions in a detailed — and, eventually — very emotional way. However, there was little new actual information to be had. Part of the problem was that there was little notice about the event. The event announcement was issued at 5 a.m. U.S. eastern time — or 2 a.m. — Pacific time — for a meeting beginning just a few hours later, at 11 a.m. eastern or 8 a.m. Pacific, on Sunday morning. According to Kinney-Johnson, the short deadline was a result of the fact that Lieberman had to leave to attend a conference. “We wanted to do this before he left for a week,” she said. In addition, the meeting was scheduled for a venue on the SpotON3D grid, not a neutral location, which some critics found objectionable. Tochner did not attend the event. In fact, none of SpotON3D’s loudest critics, including those who called for a boycott, made it to the forum. There was no new information about the patent number, details of the technology involved, or pricing information for licensees. Lieberman said that it was not common practice to release the patent number before the patent application is published, which generally happens about 18 months from the original patent filing date. Until then, he said, there’s no point in releasing the patent number. And there is usually time after the patent application is published for critics to weigh in. According to Lieberman, there are even security concerns about publishing this number too early. Once the patent application is published, then critics will be able to write in and point out problems with the patent, such as whether the same technology has already been invented elsewhere. However, all the prior art that critics have pointed out, such as the inDuality browser-based viewer, is already part of the patent application, he said. In fact, some technologies that have done something similar have already received patents, Lieberman said. In fact, there’s a chance that the SpotON3D patent will be rejected because it overlaps with an existing patent. “There are a number of other patents out there on methods doing exactly what we’re doing, but with slightly different twists,” he said. Lieberman said that he would look up and release the information about these other patents once he returns from vacation. 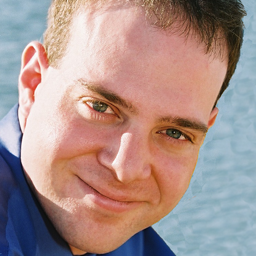 “If people put up their own plugin they could end up infringing those other, already issued, patents,” said Lieberman. One of reasons that SpotON3D filed for the patent was to ensure that it itself was not infringing. In addition, the company decline to explain what specifically made SpotON3D’s technology different from that of other implementations. However, when asked for specifics, he said that he was not a programmer and did not know the details. “No, I will not let you talk to one of our programmers,” he added. In addition, neither he nor Kinney-Johnson could say how much the plugin would cost if other grids wanted to license it for their own use. One of the complaints that critics have made repeatedly about SpotON3D is that — unlike many other OpenSim vendors — the company has not donated improvements back to OpenSim. That is going to change now that OpenSim developers have formed the Overte Foundation, which not only puts OpenSim licensing issues on a solid legal footing but also allows developers who previously worked on the viewer to donate server code. SpotON3D’s programmers work on both — and since the two pieces of software have incompatible software licenses, have not been able to donate improvements fore, Kinney-Johnson said. For example, one thing that she would like to change about OpenSim is that today, an OAR file export saves every single item on a region — whether or not the region owner has full permissions or not. This might be useful for companies doing backups of their private grids, but is a security risk for open grids that allow users to connect their own regions. SpotON3D would also like to sit down with other OpenSim developers to talk about the direction that OpenSim should take, or to participate in a group of OpenSim grid hosting companies joining to get their voices heard. For example, she said, there’s a potential security exploit with the permissions systems that she’s approached a core developer about — a fix made it into one of the OpenSim distributions, but the fix disappeared in a later release. “The exploit still exists in every new version of OpenSim that is rolled out, and we have to fix in every release of the code that we roll out,” she said. This exploit, it if becomes publicly known, could cause problems for other grid owners, she said. Meanwhile, she said, it’s not right for other grids to attack SpotON3D for keeping code private when they do the same thing. Kitely has a system in place for instantly starting dormant regions by sending a command from a website — and then putting the regions away into storage again when they are not used. 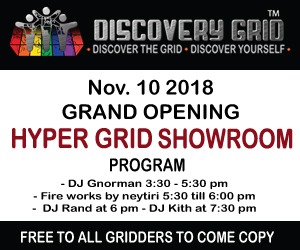 If this system was widely available to other grid owners it could dramatically reduce OpenSim hosting costs across the board. 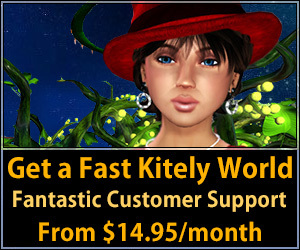 Kitely has not patented this technology and pledged not to patent their OpenSim-related innovations, and has donated other code to the OpenSim community. Kinney-Johnson continued to answer questions until almost 3 p.m. eastern time (noon Pacific). For example, she gave out numbers about the size of the grid — about 200 regions, about 5,000 registered users, and about 200 active users. By comparison, one of its chief competitors, Avination, as of today, has more than 36,000 registered users, 890 total regions, and more thatn 6,000 users active during the past 30 days. InWorldz, its other major competitor, has more than 41,000 registered users, 909 regions and, while it does not publish active 30-day user numbers, had 209 users online simultaneously on Sunday afternoon. (Avination had 180.) In other words, Avination and InWorldz see more people in one day than SpotON3D sees in an entire month. It comes down to creators having faith in the technology, she said, making a leap of faith to come to another grid, then bringing their communities with them. SpotON3D went live in June 2010 (it was in beta since the summer of 2009), making it older than Avination, which launched the following month. Like the other commercial grids, SpotON3D focuses on protecting creator rights. It has some unique features, such as the “Double Dutch” delivery system, which allows creators to sell products to multiple grids — including grids owned by other companies. SpotON3D's Synergy marketplaces uses "Double Dutch Delivery" to deliver purchases to SpotON3D grids and to Second Life. However, other grids haven’t joined the system, even as they have been joining two competing multi-grid marketplaces — Cariama and HGExchange. Kinney-Johnson spent the last half of the event trying to explain her motivations, and her problems with being understood. She said she was motivated by a desire to help creators, to protect content, and to grow the community. Even the Facebook plugin, which she expects to attract a mass of new residents, will also help other OpenSim grids. “There are people who don’t fit in our community, and they will go to other grids,” she said. However, SpotON3D plans to close the loophole that allows the plugin to be used to access other grids, she said. Kinney-Johnson ended the event with a plea for understanding.